Estel M. Culpepper (20) and Kenneth E. Moss (19) on 12 Dec 1943 in Walker Co., GA, 23-54. 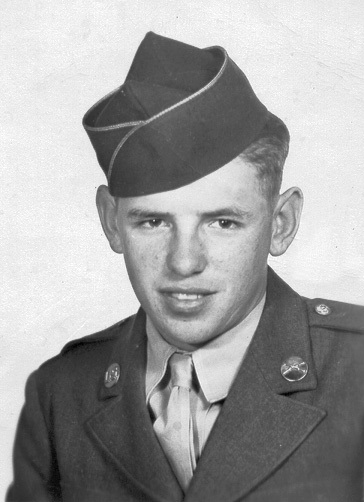 Emmitt F Culpepper, PFC US ARMY WORLD WAR II, 1925 - 2004, buried at Macedonia Cemetery, Section, Jackson Co., Alabama 35771. 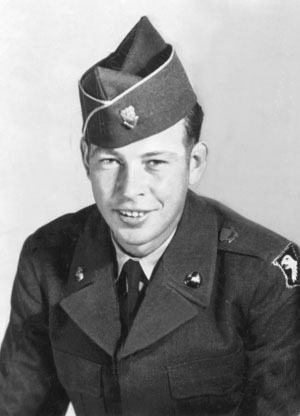 Emitt F. Culpepper, born 1925, White, Native of Alabama; Resided in Jackson Co., Alabama; Enlisted on 29 Aug 1944 in Alabama at Fort McClellan in the US Army as a Private for the duration of the War plus six months; Education: Grammar school; Civil Occupation: Automobile Serviceman; Marital Status: Single, without dependents. Source: Bobby Jo Pressley Culpepper, wife. According to an entry for his son, James O. Griffin, on p. 253 of Vol. 2 of the 1927 edition of the History of Alabama and Her People published by the American Historical Society, Inc., William Henry Griffin grew up in Chambers Co., AL and then moved to Clay Co., AL where he farmed in Lineville until 1920 and then moved to another farm near Ashland, AL. "He was a democrat, held office of the Justice of the Peace for many years, and at the time of his death was a member of the Clay County Board of Education. He belonged to the Missionary Baptist Church and the Knights of Pythais...." Mrs. J. W. (Lena Whatley) DeVaughn wrote 4 Dec 1978: Granddaddy Griffin was a man of medium height with brown eyes and hair. He was secretary at his church for 50 years or more. Also, he served as Justice of the Peace for at least 50 years. Was Chairman of the Board of Education for Clay County for 35 years. He was a very active democrat. He was a carpenter and a farmer. He grew all varieties of fruit and shared it with friends. Also, he served in the Civil War. Mrs. DeVaughn continued in a 2 Jan 1979 letter: Grandpa Griffin as far back as I can remember at church never sat on a bench at church. He always sat on the edge of the pulpit, leaned back against the wall of the church. The church was one large room. The men sat on one side of the pulpit on benches but he didn't.... The women sat on the other side of the pulpit. I can just see in my mind Grandpa sitting there. William Henry Griffin and Clarissa Culpepper began recording family records in a Bible. The Bible was published in 1870 by the National Publishing Company, Ziegler & McCurdy, Jones Brothers & Co., M. A. Parker & Co. In 1966, the Bible was in the possession of James M. Griffin and Ruth V. Griffin of Memphis Tennessee. The following is from Peter A. Brannon, Director of the State of Alabama Department of Archives and History in Montgomery, AL: William Henry Griffin... was living in Clay County in 1907-1908, and he certified to the tax collector there that he served as a private in Company D, 3rd Alabama State Troops; that he enlisted, 27 September, at Selma and was paroled 11 April 1865 at Selma. He further certified that he was born, 20 October 1847, in Chambers County, LaFayette, Alabama. His post office in 1907 was Lineville. A grandson, James M. Griffin, wrote that he was about 12 years old when his grandfather died: The last I remember of him before his death was a time when I was there and he was chopping stove wood. He was a farmer, carpenter, Justice of Peace, member of the school board, politician, a life long democrat, and at one time had some kind of a mine. According to the Certificate of Death, File No. 9869, W. H. Griffin died 21 Feb 1924 at 9:00 p.m. of Lobar Pneumonia. The doctor had been treating the pneumonia since 16 Feb. The following obituary is from an unknown source: W. H. Griffin, Prominent Citizen of the County Dead W. H. Griffin, Chairman of the County Board of Education, died at his home in the Olive Branch community between Ashland and Lineville Thursday night. He was one of the county's most highly esteemed citizens, his usefulness being recognized, in affairs of church and state. He was 76 years of age and was a veteran of the war between the states. In 1867 Mr. Griffin was married to Miss Eugenia Culpepper who still survives him. To them were born a large family of children, nine of whom are now living. They're Mrs. W. T. Dean, of Ashland; Mr. J. O. Griffin, of Eclectic; R. L. Griffin, of Montevallo; Mrs. Ike Reeves, of Lineville; Bert Griffin, of Birmingham; G. W. Griffin of Washington, D, C; Mrs. Robert Whatley and Misses Lela and Maude Griffin of Lineville. Funeral services were held at Lineville Baptist church Saturday morning and a very large congregation attended. Interment was in the Lineville cemetery. In Memory of W. H. Griffin The Death Angel has again visited Camp Pettus, this time claiming as his victim our beloved Lieutenant, W. H. Griffin. In the still hours of the night he came and stole his breath away and our comrade was left a lifeless lump of clay, but we feel proud to know he was found on guard and at his post of duty, both as a citizen and soldier, watching and waiting for the roll call. We mourn his departure, but are comforted with the thought that he has a better place on the other side with those that have gone on before. Sleep on dear comrade and we will try to live so as to be like you when our names are called to be at our post, and, like ex-President Wilson, to say "Ready." To his wife and children: you have the sympathy of Camp Pettus and we commend you to the loving care of Him who cares for His own. Trust in Him and lean on His promises for He promises to be a father to the fatherless and a husband to the widow. Farewell brother comrade till we meet you in the sweet by and by. Turner Wright, Secretary, Camp Pettus. State of Alabama Department of Archives and History Montgomery, AL. 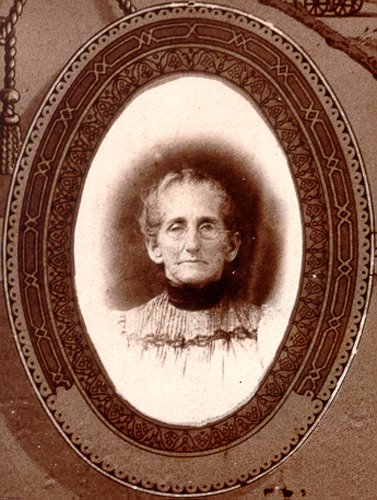 Biography* 11 Feb 2019� Clarissa Eugenia Culpepper was the youngest of her mother Sarah's five children. Her father recorded her birth in his Bible: "Clarrisa E. Culpepper was born April the 13th 1848." Clarasy, as she was called, was eight when her mother died, ten when her father remarried, and eleven when her family moved to Randolph Co. AL. In 1867 she married William Henry Griffin of Mellow Valley, AL at her home in Pinckneyville, Clay Co., AL (the marriage is recorded in Tallapoosa Co.) The couple settled in Lineville, Clay Co. AL to raise a family of ten children (one other died as an infant.) An early photograph shows a young Clarissa and her husband with their first child, Dora. Clarissa had blue eyes. A granddaughter, Mrs. J. W. (Lena Whatley) DeVaughn wrote, 4 Dec 1978: With reference to Grandmother Griffin, I consider her to be an outstanding individual. She was faithful to her church and always ready to help those in need. She set a wonderful example for her children and grandchildren. I am so thankful for the things she taught me when I stayed with them [the William Henry Griffin's].... Grandmother Griffin... became deaf in ... later years. She was tall and slender and very energetic. Older age did not affect her posture. She had beautiful blue eyes. Another granddaughter, Mrs. J. A. (Mildred Whatley) Kerley, wrote in a 23 Nov 1978 letter that she remembered her grandmother as "a very gracious person in her home. She was a great cook and I so enjoyed her good food." Mrs. Charles (Margaret Whatley) Lee, a granddaughter, wrote in a 14 Oct 1978 letter: I always remember her [Clarissa] as being very hard of hearing and she only had one eye. She got one of her eyes [her right eye based on later photographs] put out making lye soap when she was in her 20's. She always had rheumatism bad, which is called arthritis now. Aunt Maude and Aunt Lelia never married and they lived with her and did most all the work. She was a very proud person, very stern, and had little patience for wrong doing of any kind. She believed in being on the up & up in a big way. She used to come to my mother's house and spend the day quite often. She would come in the buggy. She always brought candy or something. She always had good cakes, etc. cooked when we visited her and would fix our favorite dishes. 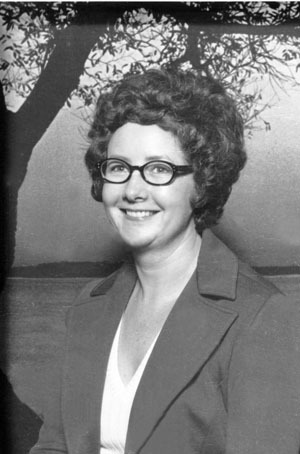 A great-granddaughter, Mrs. G. W. (Elaine DeVaughn) Mendenhall wrote in an 8 Feb 1979 letter that Clarissa "had quite a reputation as a stern disciplinarian." Jokes were told about her telling her son Olin that he was "not too old to whip" when he was himself a grandfather several times over. 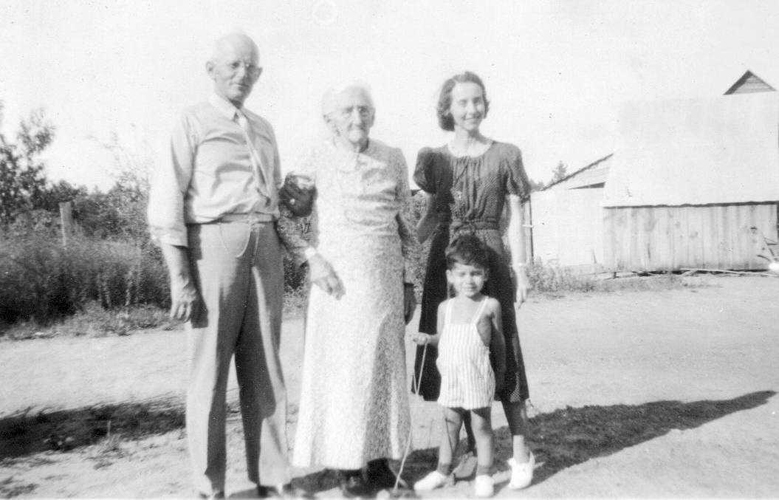 BY: EMYL GRIFFIN After my fathers death in 1922 when I was four years of age my mother carried my brother and me to visit our grand mother Griffin at regular intervals perhaps every month or so. One of my memories [is] that she would always have Aunt Maude and Aunt Lelia get us something to eat such as cake, cookies, pie & etc. This was a practice until I finished high school. She was handicapped by eye sight from my first memory and later her general health declined. She was seventy years of age when I was born so I did not know her when she was completely active physically. I do remember her mind was clear until the very last years of her life. Another memory of her is the reunions held yearly as I recall beginning in the early years [of] my life until she was some 90 years of age. As I remember it came to the point that crowds somewhat bothered her so the reunions were discontinued and family members visited her at different times. The four living boys lived elsewhere out of Clay County, therefore, these reunions provided us the opportunity of seeing uncles, aunts and cousins that we would not see otherwise. Another memory of grandmother (and Aunt Maude) was the 1927 touring Ford car which Uncle Will drove down in from Washington, D. C. He and his brother-in-law had a Ford agency in D. C. He taught Aunt Maude to drive the car and she continued to drive it for some 50 years. I remember it was the talk of the community in the 1950's when most model T Fords had gone to the junk yard. A Dr. Owens, their family doctor in prior years, then living in Birmingham, bought the car, had it refurbished and carried it to antique car shows for a number of years. This Memory shows a loving heart in my grand mother. When I graduated from high school in 1936 she gave me money to buy a suit of clothes. I well remember this was the first suit of clothes that I had. With our family, especially during depression years, financial resources were limited, as was true with most families. She must have been aware of this, and, too, I always thought maybe she thought of me in a special way since my father died when I was so young. Anyway I remember my mother carried me to her uncle's store and we bought a double breasted solid grey suit. This suit lasted me through my college days and until I found employment. Clarissa Culpepper Griffin remained active to within a few months of her 100th birthday, but died before reaching that goal after breaking her hip in a fall in 1947. The following obituary is from p. 14B of the Birmingham News-Age-Herald for Sunday, 30 Nov 1947: Woman Nearly 100 Succumbs; Son-In-Law Dies Soon After Ashland, Ala. Dec. [Nov.] 29--Mrs. W. H. Griffin who would have celebrated her 100th birthday next April 13 and her son-in-law, W. T. Dean, 77, died here Saturday morning after short illnesses. Joint funeral services will be held at 2 p. m. Sunday at Ashland First Baptist Church. Mrs. Griffin will be buried in Lineville, while Mr. Dean will be buried here, Blair directing. Mrs. Griffin died about 3 a. m. Saturday, her son-in-law several hours later. Mrs. Griffin was honored at a luncheon and received many gifts as she celebrated her 99th birthday last April. Although Mrs. Griffin['s] eyesight became dimmed and her hearing somewhat impaired, she was active and assisted in work about the home in advanced years. BORN IN PIKE COUNTY, Georgia, Mrs. Griffin moved to Alabama with her family at the age of 11. She had lived in Clay County the last 80 years. 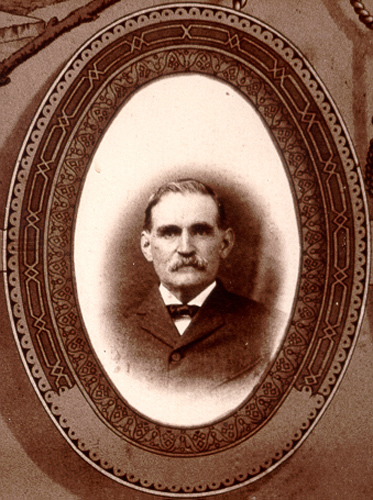 Mr. Griffin, whom she married in 1867, died in 1924. Mrs. Griffin was the mother of 11 children, seven of whom survive her. There are three sons, Dr. J. O. Griffin, Memphis; G. W. Griffin, Lineville and J. A. Griffin, Sylacauga, and four daughters, Mrs. W. T. Dean and Miss Maude Griffin, Ashland and Mrs. Ike Reeves and Mrs. Robert Whatley, Lineville. Also surviving are 34 grandchildren and 33 great-grandchildren. Mr. Dean, a retired farmer, is survived by his widow; two daughters, Annie Maude Dean, Montgomery, and Mrs. E. A. Spear, Birmingham; two sons, Otho Dean, of Montgomery and Oak Hill, and Edward Dean, Butler, Pa. and four grandchildren. A granddaughter, Mrs. Charles (Margaret Whatley) Lee wrote 21 Jan 1990 about some pictures of Good Hope from the Lineville paper of 20 Jan 1990: You see the church? Well that's the church Grandmother and Granddaddy Griffin attended and all their children.... They have remodeled the church in recent years. They added the little steeple, the little porch & also put siding on the outside. Grandmother's children went to school there too. That headstone hasn't always been there. That church must have been there be before 1884. Every one of Grandmother's children was born there in Good Hope. You see the house in the lower right corner? Well I'm familiar with that house, you go on around that house to go to Grandmother's old home place. I doubt if it is still[ standing there. It was almost impossible to get to their home in a car the road was so rocky & rough.... I think the road going to the left in the picture goes to Pyriton. Clarissa's middle name, Eugenia, was from Queen Victoria Eugenia of England. Biography* � Mrs. C. W. (Marie Griffin) Middlecoff wrote in a 13 Feb 1995 letter: Mama was such a lady. She had a reputation of being an excellent cook. We think she was the best She was a quiet person, read her Bible + studied her Sunday School lesson each week. She would ask us if we had studied ours, especially Ralph [Vaughn] when he was here. Sometimes Ralph would ask her first - for fun. He is a big tease. She loved her family and home. She preferred staying at home except attending church. She was my Sunday School teacher when I was 11. She was active in PTA - mainly telephoning + attending meetings - not presiding as an officer. She had several operations including the removal of her right breast (cancer). It didn't spread. She died about 10 years later (Coronary Thrombosis). She would be an encourager to other women who had the same surgery (cancer). They would call her. Then she would tell them how to get back to "normal." She didn't talk about her childhood. Her mother died when she (Mama) was about 7 years old. Aunt Lanora (her oldest sister + her twin (died young, can't think of her name [Derah])) took care of her. She had sisters named Ollie and Peggy. Julius and Lewis were 2 of her brothers. Her father farmed. They had a nice white framed house. Ruth, James (a baby) (1914) and Mama rode the train to visit her father + those at their home. Aunt Lanora was still unmarried and living there. Aunt Peggy would come and stay with us for a while. SHe would help Mama sew. They made us some pretty dresses. She also took me to pick up hickory nuts - Then cracked + picked the nuts out of the sshell for me to eat. Several years later she married a widower with several children. Correspondence from James Maurice Griffin, 883 Hawthorne, Memphis, TN, to Lew Griffin, 1960-1980's. Biography* � James was named after his Uncle James Griffin. According to a son, James M. Griffin, James O. Griffin had blue eyes. Mrs. Charles (Margaret Whatley) Lee visited Alsie Rutland in LaGrange, GA and he spoke about James Olin Griffin: Alsie also said Uncle Olin used to teach at Standing Rock [Chambers Co., AL] and he knew him. Uncle Olin met Aunt Minnie at Standing Rock, as you know she was a Strickland. Uncle Olin boarded with her family when he taught there. The following biography is from Vol. 2, pp. 253-254 of the History of Alabama and Her People by the American Historical Society, Inc., 1927: JAMES OLIN GRIFFIN, M.D. The quarter of a century Doctor Griffin has devoted to his duties as a physician and surgeon has been spent in several Alabama localities, and includes also the period of about a year he was a medical officer in home camps and overseas during the World War period. Doctor Griffin is a physician and surgeon at Moulton. 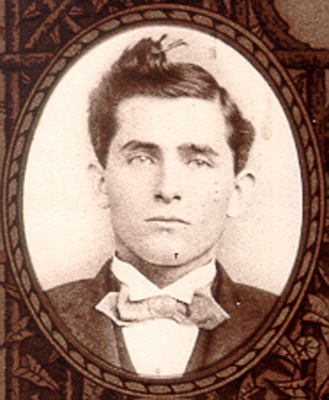 He was born at [Good Hope near] Lineville, Clay County, Alabama, January 31, 1871 [30 Jan 1871 per Griffin Bible record]. The Griffin family is of Welsh ancestry. His grandfather, Robert Griffin, was a native of Pike County, Georgia, and when in middle life moved with his family to Lineville, Alabama, where he engaged in farming and merchandising until his death. He married Ann Wise, a native of Georgia. Their son, William Henry Griffin, was born in Chambers county, Alabama, in October, 1847, and died at Ashland in Clay County, February 22, 1923. He grew up in Chambers County, was married in Clay County, and carried on successful operations as a farmer at Lineville until 1920, when he moved to another farm near Ashland. He was a democrat, held the office of justice of the peace many years, and at the time of his death was a member of the Clay County Board of Education. He belonged to the Missionary Baptist Church and the Knights of Pythias, and was one of the useful soldiers of the Confederacy during the Civil war. His wife, Clarissa Eugenia Culpepper, was born near Griffin in Pike County, Georgia, April 12, 1847 [13 Apr 1847 per Culpepper Bible Record and tombstone] and is still living. They had eleven children: Dora, wife of Bud Dean, a farmer at Ashland; Doctor James O; Robert Lewis, a commercial traveler, with home at Montevallo; Annie, wife of Isaac Reeves, a farmer at Lineville; J. Thomas, a farmer who died at Lineville of typhoid fever in June, 1922; Miss Lelia and Miss Maude, living at home with their mother; Joseph Albertus, who is credit man for the Haverty Furniture Company at Birmingham; George William, connected with the Handley Motor Company at Washington, D. C; Myrtle, wife of Robert Whatley, a farmer at Lineville; and Herman Milton, who died when eighteen months old. James O. Griffin grew up at Lineville, attended Lineville College, and had six years of teaching experience in Randolph and Clay counties. In 1898 he entered the medical department of the University of Alabama at Mobile, and was graduated M. D. in 1900. After six months of practice at Millerville he located at Hackneyville, in Tallapoosa County, and was an esteemed and successful physician in that community for a period of seventeen years. Leaving there he practiced at Goodwater, Alabama seven months. Having volunteered for service in the Army Medical Corps, he was commissioned a first lieutenant and was called to duty August 1, 1918 and was in training twenty-nine days at Camp Greenleaf Fort Oglethorpe, Georgia. He was ordered overseas as a casual landing at Liverpool September 29, spent five days at Winchester, England, reached Le Havre October 5, still as a casual, and was stationed at Laval Bonne, France from October 18 until January 6, 1919, being battalion surgeon of the First, Second and Third Battalions which were in training there. He then went to Nevers, France, with Bakery Company No. 320 remaining on duty there from January 6, 1919 to March 11, 1919. He was next at Mars Center, the American base hospital, until April 15th, was transferred to Savinay for a short time, and on April 20, sailed from St. Nazaire, landing at Hoboken New Jersey, May 1, 1919, and took his honorable discharge at Fort McPherson Atlanta, June 19, 1919. He now holds the rank of captain in the Medical Officers' Reserve Corps. Leaving the army, he resumed his practice at Goodwater for a brief time, and on January 2, 1922, engaged in practice at Leeds, left there on March 6, 1923, and was located at Eclectic until April 29, 1924, when he established his home and office at Moulton to engage in a general practice as a physician and surgeon. His offices are in the Moulton Drug Company Building on the Court house Square. Doctor Griffin was county health officer of Tallapoosa County in 1916-17 and is a member of the Lawrence County, Alabama State and Southern Medical Associations. He is a democrat, a member of the Missionary Baptist Church and is affiliated with Leeds Lodge No. 446, F. and A. M. Avondale Chapter, Royal Arch Masons, Kamram Grotto of Masons at Birmingham. 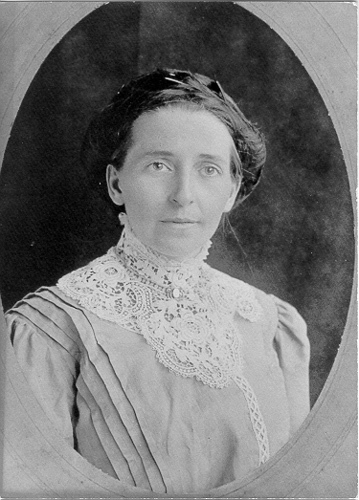 He married at Standing Rock in Chambers County, May 16, 1900, Miss Minnie D. Strickland, daughter of Henry A. and Julia (Halsey) Strickland, now deceased. Her father was a farmer in Chambers County. 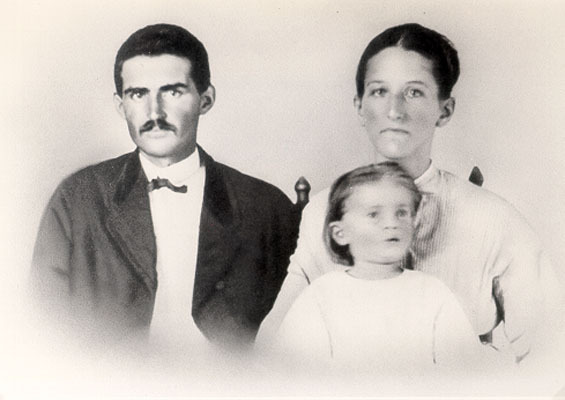 Doctor and Mrs. Griffin became the parents of nine children: Mary Erom, a teacher in the Coffee County High School at Enterprise; Joseph Wyeth, manager of a general store at Leeds; Ruth Valentine, attending the Alabama College at Montevallo; Sarah Louise, a senior and Julia Clarise, a freshman in the Lawrence County High School at Moulton; James Maurice, Lewis Wyman and Millie Frances, students in the Moulton Grammar School; and Olga Marie. J. O. Griffin also liked to go hunting and at one time had several bird dogs. Later, he had a pet dog named Jigs that he loved to aggravate by twirling its tail. J. O. Griffin was a teetotaler and he ran a telephone exchange out of his office. A niece, Mrs. E. A. (Ellaree Dean) Speer, wrote in a 10 Jan 1992 letter: Uncle Olin had a good practice in Hackneyville & also telephone business & he still had that when I would visit [Olin's daughter, Mary] Erom [Griffin] & we worked the switchboard for Miss Cassie to go for lunch... & to have vacation.... Those were horse & buggy days. The switchboard was in a two room house & the other room was for medicine. If you called late p.m. night or early morning - no answer. Miss Cassie went to work about 7:30 or 8:00. Annie M. Rillett, 17, was listed as a telephone operator living at the James O. Griffin residence in the 1910 census. The following is from Birmingham News for Sunday, 28 Nov 1982: A Day in the Life of Alabama Switchboards and 'Central' once hub of small-town life By Clarke Stallworth News associate editor They called her "Central." Early in this century, she sat in a little office, in a small Alabama town, watching the spaghetti-like cords sprout from the small telephone switchboard. She ate, slept and lived within reach of the switchboard, and many nights would be roused out of bed to connect somebody with somebody else. From 1900 to 1921, Alabama was dotted with small telephone exchanges. Irma Russell Cruse, who worked for Southern Bell and South Central Bell as a writer wrote a story in a telephone magazine about one early- century switchboard, in Hackneyville, a small town in northwestern Tallapoosa County. The switchboard began when a dentist, a Dr. Bell, needed it to stay in touch with his patients. So he bought a switchboard and set it up at home. His wife manipulated the cords and answered to "Central." Then Dr. J.O. Griffin put in a larger exchange--15 lines--with four to eight parties on each line. Toll connections were established between Hackneyville and the Bell Company's exchanges at Alexander City and Goodwater. In her article, "Horse and Buggy Telephones," Mrs. Cruse wrote: "For the next 10 or 15 years, this telephone switchboard was the hub around which life revolved in the community. The primary purpose of the service was to enable the doctor to keep in touch with his patients. "Merchants soon found it helpful, however, to use the telephone to find out whether their orders of staple groceries had come in at the Central of Georgia depot in Alexander City. "Each family learned its code ring and the youngest child soon learned that 'two longs and a short' was for his telephone. Each family learned the other codes which designated others on the line and when Mrs. Brown's short and long ring was heard, others up and down the line rushed to see who was calling Mrs. Brown. It never occurred to the telephone subscribers that anyone would seriously object to everyone on the line listening in on conversations. Nor was it unusual for listeners to take part in the conversation and volunteer information." Dr. Griffin hired a young telephone operator, Nellie Ledbetter, and the operator lived with him and his wife in their home. Wrote Mrs. Cruse: "One of the by-products of her working days for Nellie was the romance with Charlie Russell, one of the young men of the community who had been away at school. "The two young people found the switchboard offered opportunity for frequent visits by telephone when business was quiet and the romance blossomed into marriage. "During the months before that marriage took place, in her role of 'Central' Nellie served the doctors well (Nellie's brother was practicing with Dr. Griffin). "Each morning before leaving for their house calls, the doctors prepared a list of their proposed visits and left it at the switchboard. If a call came in for the doctors in their absence, Nellie would check the lists, estimate just about where she would find the doctor who was needed and ring the telephone nearest that location. "Any telephone subscriber was always glad to stop work to answer the telephone to help locate the doctor. There was little danger of missing the doctor if he was scheduled to come along past the house being called, for the clip clop of the team of horses could be heard long before the buggy and its occupant would come into sight. Telephones changed. The wall set, with the crank on the side, became a dial telephone on a desk, and "Central" became "Operator," in a distant city. Telephone service got better -- subscribers could make calls easier and quicker than before. But the personal touch -- or much of it -- disappeared into the mists of history. Americans may have gained better service, but some who remember, miss the friendly voice of the lady in the cushioned chair, sitting by the rickety little switchboard, the lady who knew everybody's business. The lady down at "Central." A daughter, Ruth Griffin, wrote in a 31 Jan 1982 letter: Yes, I remember living at Hackneyville and quite a lot about everything. Daddy was a very prominent citizen there.... Hackneyville was a very progressive community when we lived there. Daddy had the home built where we lived. It was destroyed by fire sometime ago. The following is from p. 421 of the second (1952) edition of Who's Important in Medicine compiled and published by Institute for Research in Biography, Inc., Hicksville, NY: GRIFFIN, JAMES OLIN - Physician; born January 30, 1871, [Good Hope near] Lineville, Alabama; son of William Henry and Clarissa Eugenia (Culpepper) Griffin; educated at Lineville College, Medical Dept. Grants Univ., Medical Dept., University of Alabama, M.D., 1900; married Minnie Dallas Strickland, May 16, 1900; children-Mary Erom, Joseph Wyeth, Ruth Valentine, Sarah Louise, Julia Clarice, James Maurice, Lewis Wyman, Minnie Frances, and Olga Marie. In general practice, Alabama 1900-1928. County Health Officer, Tallapoosa Co., Ala., four years; President, Board of Education, Hackneyville, Ala., several years; Staff Member, U.S. Veterans Hospital 88, Memphis, Tennessee, 14 years; Staff Member, Oakville Memorial Sanatorium, Memphis, Tennessee since 1942. Member: Tenn. State Medical Association, American Trudeau Society, Memphis and Shelby County Medical Society, American Cancer Society. Clubs: Oakville Civic, American Legion, National Association of Retired Civil Employees. Served as First Lieutenant, U.S. Army, World War I; Major retired, U.S. Army Medical Corps. Residence: 883 Hawthorne. Office: Oakville Sanatorium, Memphis 18, Tennessee. In a 29 Jul 1953 letter written just 2 days before his death, James O. Griffin wrote to his son, Lewis W. Griffin and family: I am in charge of three different buildings and it takes lots of walking to see the patients in all three of the buildings.... I am very thankful that I have a good job and I hope that I can keep it for at least five more years. I do not want to ever quit work. I hope and pray that the Lord will keep me fit and able to work as long as I live. I think that work and employment is as good or better medicine for old people as it is for young people. A busy individual, if he or she has any ambition, is, as a rule, a happy individual. The following obituary is from The Commercial Appeal of Memphis, TN, Saturday 1 Aug 1953: SUDDEN ILLNESS FATAL TO DR. JAMES GRIFFIN Practiced More Than 50 Years In Tennessee, Alabama RITES TO BE TOMORROW More than a half century of medical practice that endeared Dr. James O. Griffin to the hearts of lay persons and other physicians in two states ended yesterday when the doctor died at Baptist Hospital after a sudden illness. He was 82. Dr. Griffin became ill at noon Thursday while on duty at Oakville Memorial Sanatorium, where he was still active as staff physician. He died at 9 yesterday morning. Rites Set Tomorrow Services will be he]d at 3:30 tomorrow afternoon at McLean Baptist Church. Dr. H. C. Gabhart will officiate. Burial will be in Memorial Park. Dr. Griffin's long and prominent career began with general practice in Tallapoosa County, Ala., in 1900. He had earned his doctor of medicine degree earlier that year from the University of Alabama. The year was notable in another respect for the young doctor, for it was then that he married Minnie Dallas Strickland of Roanoke, Ala. Mrs. Griffin died one month and three days after the couple celebrated their 50th wedding anniversary on May 16, 1950. They raised nine children. During 28 years of general practice, Dr. Griffin also served as county health officer of Tallapoosa County for four years, and president of the board of education of Hackneyville, Ala. The family moved to Memphis in 1928 from Moulton, Ala. Their home is at 883 Hawthorne. With VA 14 Years Dr. Griffin's first service here was as staff physician at Veterans Hospital No. 88 on Crump, where he remained 14 years. He had been at Oakville Sanatorium the past 11 years. Born at [Good Hope near] Lineville, Ala., Dr. Griffin was the son of Mr. and Mrs. William Henry Griffin. He attended Lineville College and Grant's University, Chattanooga, before entering the University of Alabama. Dr. Griffin was a member of the American Medical Association, the Southern Medical Association, the Tennessee State Medical Association, American Trudeau Society, Memphis & Shelby County Medical Association, and the American Cancer Society. Following service with the Army Medical Corps in World War I, Dr. Griffin was discharged as a major. He was a member of the American Legion, Oakville Civic Club, and the National Association of Retired Civil Employees. Known As 'Pops' He was a member of McLean Baptist Church. He was known affectionate]y as 'Pops.' He leaves three sons, James Griffin of Memphis, and J. W. Griffin and L. W. Griffin of Leeds, Ala; six daughters, Mrs. R. W. Vaughn, Mrs. C. W. Middlecoff Jr., and Miss Ruth Griffin of Memphis, Mrs. Hez Brown of Chattanooga, Mrs. W. T. Duscoe of Union City, Tenn., and Mrs. H. M. Lewis of Quitman, Ga; two brothers, J. A. Griffin of Sylacauga, Ala.,and G. W. Griffin of Lineville; four sisters, Mrs. Ike Reeves and Mrs. Robert Whatley of Lineville, Miss Maude Griffin of Ashland, Alabama and Mrs. W. T. Dean of St. Petersburg, Fla., and 15 grandchildren. The following obituary is from an unknown source: Dr. James Griffin, Of Oakville, Dies Staff Physician At Sanitorium Dr. James O. Griffin of 883 Hawthorne, staff physician At Oakville Memorial Sanitorium, died at 9:10 a.m. today at Baptist Hospital after a brief illness. He was 82. Dr. Griffin came to Memphis 25 years ago from Alabama to join the staff of Veterans Hospital 88 on Lamar. He had been with Oakville Sanitorium for 12 years. He was born in Clay County, Ala. Jan 30, 1871. He graduated from Alabama Medical College in 1900 and first practiced in Tallapoosa County, Ala., where he became health officer. He served as a major with the Army Medical Corps in France in War I. After 28 years of practice in Alabama, the last five in Moulton, he came to Memphis in 1928. He was a member of Southern Medical Association, American Medical Association, American Trudeau Society, Oakville Civic Club, American Legion, and McLean Baptist Church. He leaves three sons, J. W. Griffin and L. W. Griffin of Leeds, Ala., and James Griffin of the Hawthorne address; six daughters, Mrs. H. M. Lewis of Quitman, Ga. Miss Ruth Griffin of the Hawthorne address, Mrs. R. W. Vaughn of 3234 Spottswood, Mrs. W. T. Duscoe of Union City, Tenn., Mrs. C. W. Middlecoff Jr. of 1547 N. Parkway and Mrs. Hez Brown of Chattanooga and 15 grandchildren. Services at 3 :30 p.m. tomorrow at McLean Baptist Church, Dr. H. C. Gabhart officiating. Burial in Memorial Park. National Funeral Home is in charge. Dear Lew, as you requested, I'll start my recollections of Grandmother and Grandaddy Griffin. I may think of some others later. I'll include information provided by my Mother, aunts and uncles and others, who told me things about them from their experiences. "Frisco") from Montgomery. Sometimes we stayed a month. Mother talked often about how much she loved being with her family and at her Mother's dinner table. Dinner there was a special time. There was a precise hour when everyone in the family was supposed to be home for dinner and the conversation was always interesting as we discussed what people had been doing all day or other stimulating topics. Remember, Mother was the eldest of the Griffin siblings and so James, Lewis, Frances, and Marie were still in high school and college and living at home during my early years. Marian and I were the first grandchildren. Annette and Barbara, Julie and Jimmy were not far behind. Annette and Barbara lived in Memphis, so we usually saw them, too, when we visited. James, Lewis, Frances, and Marie always made me feel very special and took me everywhere with them and planned special treats for us, such as going to the Memphis zoo, the outdoor theater, the parks, etc. I remember watching James teach Marie (maybe Frances too) to drive. I don't think Grandaddy liked to drive. One of his children drove him to work and one always went to get him in the afternoon by the time I knew him. After dinner, he always took a walk and often I went with him and his dog, Jiggs, when I was there. There was always lots of laughter in the Griffin home, at dinner time and all the time. Usually when we visited, there would be a time when all the girls were at home. The ones who lived elsewhere would make a special point of coming home at that time to see my Mother, Marian, and me. I have special memories of all six of them getting in one room, telling their stories, with peals of laughter. Grandad and Grandmother were totally devoted to their children and grandchildren and interested in their joys and sorrows. I always received Christmas and birthday remembrances from them as a very young child. Here is one story about my stillborn brother told to me by Marie that I did not know until both of my parents had died, and so I never had a chance to discuss it with them. My parents lost their first baby, a stillborn boy. Marie said that Grandmother came to Wetumpka, AL with Frances and Marie (ages about 5 and 7 then) to stay with Mother for a whole month afterwards to provide comfort and solace. Marie said that, even at age 5, she knew that my Mother needed to talk about it and she wanted to find a way to help her talk about it, but didn't know how. (Perhaps Grandmother found a way.) I knew that this experience had been horrible for my Mother because she told me about it many times, although I don't remember her telling me that Grandmother came with Frances and Marie. In telling me, she focused most upon the physical aspects of the long labor, saying that she nearly died in the process. (I think she must have had post-traumatic stress syndrome, because she needed to tell me, a child, about it several times. I learned to change the subject because it was painful to hear.) She had been told that this baby was perfectly formed and looked like the Griffins. I think it showed extraordinary love, concern, and sensitivity for Grandmother and Grandad to organize their lives so that Grandmother could come with Frances and Marie to stay a whole month with my Mother at that time. Grandaddy made an annual summer trip in his car to visit his children and family-of-origin relatives in Alabama. His mother and some siblings lived in the Lineville, AL area. When I was a small child, his car would have two or three other family members with him, mainly James, Frances, or Marie. I think Lewis was not with them as often because he joined the Navy after he graduated from high school. I don't recall Grandmother being on these trips. I don't know why. I am under the impression that her health began to fail, so perhaps she did not feel like taking this trip. Remember, we did not have air conditioned cars in those days. Grandmother had cancer of the breast, but that was not the cause of her death. I don't know what the cause of her death was. Perhaps you could find it on her death certificate. The last time I saw her was in Memphis during my junior or senior year at Wesleyan College. I remember that when I went to tell her "Goodbye" before we left, she grasped my hand and looked at me in such a special way that I can recall this very moment. I had a feeling that I didn't understand then and now I am wondering if she knew that she might not ever see me again. Grandmother taught me to embroider. I still have a few items that I made then. She also attended to my requests. One of the things that Ruth gave to me was Grandmother's glove box. In retrospect, I remembered that I admired Grandmother's glove box very much. I must have spoken my admiration of it so often that Ruth remembered to give it to me. My Mother once told me, after Grandmother had died, "I can sometimes feel my Mother's presence." It was in that connection, I think, that once when my Mother visited me (as an adult) in Colorado, she asked for reassurance that I would tell her if I had a problem. She said that when I was very young (I don't know the exact age, but very young), I would call her often if she was in a different room, yet when she appeared, there didn't seem to be anything that I needed or wanted, so she told me to quit calling her. Grandmother noticed this and told her that she should not tell me to quit calling her. Grandmother told Mother, "Some day, Mary is going to need you and she is not going to call you." Apparently, Grandmother was a model that her children admired and wanted to emulate. They all said that she never said a mean thing about anyone. She organized and managed a lovely home. In my youngest years, the family lived in a two story house on Central Avenue in Memphis. They didn't move to the house on Hawthorne Street until after all the children, except Ruth and James, had left home. Grandmother and Grandad wanted all of their children to feel that they could come home there whenever they needed, or wanted to. Even I, as a child, had the feeling that if anything ever happened to my own parents, I could probably go to live with Grandmother and Grandad. At the same time, they made it perfectly clear that their children should become independent and self-reliant. I think that their child-rearing practices probably changed somewhat from the eldest to the youngest, although some things remained the same. One constant was that children did not speak disrespectfully to their parents. I was very surprised once while visiting at the house on Central Avenue when Frances was a teenager and spoke disrespectfully to Grandmother about something while the evening meal was being prepared. Grandmother immediately slapped her face! That was the only time I remember a show of anger from Grandmother. All of the children were expected to help with the household chores in some way. My Mother spoke of her responsibilities for helping to care for her younger siblings. As the eldest child, all of her siblings addressed her as "Sister" instead of by her name. That tradition was carried on when some of her nieces and nephews addressed her as "Aunt Sister". The girls helped with preparing meals and house cleaning and washing and ironing clothes, although I remember that there was household help at the houses in Memphis. Perhaps while Grandad's medical practice was growing in its early phases, there wasn't as much money for employed household help, or there was enough for everyone to do even with household help. Remember that modern conveniences in kitchens and stores were quite different. They started from scratch in cooking, canning, making jams and jellies, and made most of their own clothes. I remember my Mother saying once, "I hope that you will never have to iron shirts!" Grandad always had to have a clean shirt and they may have gotten dirty more often in the days when he made house calls. I remember Clarice remarking once about Grandad always needing a clean shirt. I don't know what the boys' chores were, except that Mother once mentioned that Skip sometimes went with Grandad on his house calls. Remember that he graduated from Alabama Medical College in 1900, long before the automobile had been invented. He made house calls on horseback or in a horse and buggy. So he had to have a fresh horse. So Skip probably had some responsibility for the horse and buggy. Clarice told me once that nearly everyone had some responsibility relating to Grandad's practice of medicine. She said that one of hers was to hold the lantern at night if Grandad had to make a night call. She had to hold it while others got the buggy out of the garage, hitched up the horse, and helped Grandad take off. James also told me about being expected to accompany Grandad on his house calls. James said that sometimes Grandad would stay a whole day at one house, making observations, while he gathered the family medical history. He did not have available the modern tools of diagnosis, such as X-ray, sonograms, lab tests, etc. He also had some understanding that some physical illnesses are caused by emotional problems and family relationships. James said that he always made inquiries about these dimensions in taking the family history. He was aware of domestic violence and child abuse. James and my Mother said that he often told parents that they should not hit or punish their children anywhere around the face or hands. Part of the reason for staying so long at one home may have been to observe family interactions. Grandad and Grandmother were married soon after he graduated from Alabama Medical College. He started his medical practice in Hackneyville, AL where my Mother was born. He went there because there was a gold rush there, meaning that lots of people would be coming there and needing a doctor. As soon as the telephone was invented, Grandad arranged to set up a telephone exchange for the whole community right in his own home, the kind that required an operator who had to negotiate the transactions between callers and receivers by plugging connections into various holes in the equipment. I don't know if the operator was always an employee or if some of the Griffin children had to learn to manage this telephone exchange also. The boys may have been involved in chores relating to household maintenance. Great-Grandaddy Griffin was a carpenter and farmer, so Grandad learned a lot about houses and their maintenance from his own father. I remember their home being well-maintained. My memories include James painting, inside and outside, periodically and taking care of the lawn and flowers. Grandmother loved flowers. Her younger children, James, Lewis, Frances, and Marie told me about their memories of helping Grandmother in her flower garden and all four of them maintained beautiful gardens in their own homes. Grandparents were always involved in the local Baptist Church. I am under the impression that Grandad helped to organize one or more Baptist churches. I think something was said about that in his obituary. Grandmother must have been a superb organizer. Grandad volunteered to serve in the U.S. Army during World War I. He was too old to be drafted. He was accepted and soon sent to France. This left Grandmother at home alone with lots of very young children. My mother, the eldest, was in College by that time. I mentioned earlier that perhaps their child rearing practices changed from the eldest to the youngest. Everyone seems to agree that Grandad was very bossy. Mother told me once that he also gave orders to Grandmother and she once heard her mother say, "Doctor, don't talk to me like that!" Apparently, at that time, she addressed her husband as "Doctor", but that changed in later years, as I did hear her call him "Olin". I mentioned in an earlier message that he decided what my Mother would major in at Judson College. I don't think that he entered those decisions of his younger children. I think the grandparents grew more relaxed in managing their younger children. At the same time throughout all, they were very generous and loving. Grandparents were ambitious for their children and wanted them to go to College and encouraged the daughters, as well as the sons, to plan for self-sufficiency. One way to do that was to get a college education. I've already written about the Griffin girls as teachers and professionals. In this respect, I believe the grandparents were way ahead of many in their generation as many of my Mother's peers could not imagine themselves being in the working world or wanting to have professions. Grandad attended the College graduation of each of his grandchildren as long as he lived. He attended Marian's and mine at Wesleyan College, and I suspect that he also attended Annette's, and maybe Julie's. He died in 1953 while I was attending the London School of Economics and Political Science in England. Grandad wrote letters to everyone in the family. I wish that someone had saved some of his letters. I remember the last letter than I received from him in 1953while I was in London. He wrote to me about the birth of John Charles Griffin and that the baby John had been stricken with polio. He wrote that he hoped that John had received the best medical care available and had conferred with Lewis and Mildred about this. 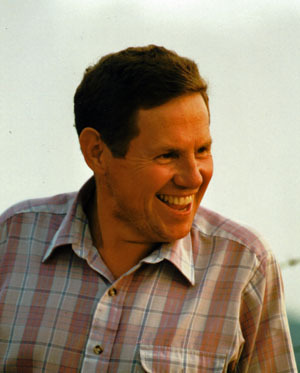 Biography* � James M. Griffin wrote 20 Apr 1977: I suppose you know your Daddy was named after Lewis Culpepper and Lewis Halsey - The Wyman was for a Doctor Wyman. A brother, James M. Griffin, wrote 10 Oct 1981 that as James O. Griffin changed the location of his practice, the family moved from Hackneyville, AL to Goodwater, to Leeds, to Eclectic, to Moulton, AL and finally to Memphis, TN. One of Lewis W. Griffin's childhood jobs was to hold a lantern by the buggie wheels when Dr. Griffin made his occasional night calls. This was to keep clear of ruts. A cousin, Mrs. C. H. (Margaret Whatley) Lee wrote, 31 Jan 1982, of her memories of these early years: I thought of your daddy and the memories I have of him when he would visit our home in the summer along with Joe [Inzer] Griffin. Your daddy, Joe and Chalmus [W. Whatley] were right at the same age. They sure had a great time romping in daddy's pasture and playing in the creek. There used to be tremendous rains and the creek would get up and those boys would get mother's tubs and float on the water in those tubs. It's a wonder they didn't get killed, but they sure had fun. They would go to the watermellon patch and there were so many things of interest for them to do. Lewis W. Griffin graduated from Central High School in Memphis and 19 Jun 1934 he enlisted in the Navy as an Apprentice Seaman and served aboard the U.S.S. Colorado. He became a Fireman Second Class then a Fireman First Class and was stationed in the boiler division and maintained the boilers and the auxiliary equipment. He was honorably discharged 26 Mar 1938 as a Watertender Second Class. He was listed as 5 ft. 7 3/4 in., 160 lbs. with blue eyes, brown hair, and a ruddy complexion. 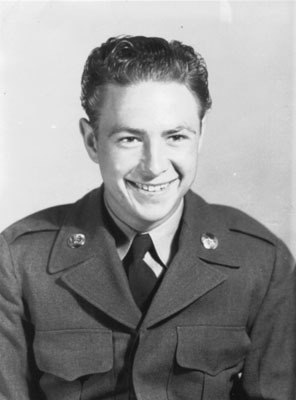 After leaving the Navy, he was employed by U.S. Bedding as quality inspector in the production of mattresses and studio couches, but September 1940, he got a job at DuPont at Millington, TN as a carpenter's helper doing construction. In a 11 Feb 1972 letter, Lewis W. Griffin wrote: I was working for Du Pont at Millington, Tenn., which is about 15 miles north of Memphis - I went to work there as a Carpenter's Helper making 60 cents an hour - this was better than the 49 cents an hour I was making at U.S. Bedding Co. Well, when they put the Power House in operation, I was called in to help start it up - On my application blank was my Navy Service - [so they knew] I knew how to operate Turbines and Boilers - So [I] was jumped to 90 cents [as turbine operator] and then again to $1.25 [as boiler operator] - Boy, by then I thought I was rich - Well then the Japs hit Pearl Harbor.... Anyway, I was called to the office and was informed that the management wanted me to go to [Alabama Ordnance Works at] Childersburg [AL] to help start [a power house at ] a new Powder Plant.... When I first got to Childersburg, I was still a Boiler Operator, then after training several people... I was promoted to outside Foreman, then to Shift Supervisor and then to Training Supervisor - The Draft was taking people far faster than you could train them - Back in those days, a turbine was $90,000... so, if you did not know how to get it on the line, you could wreck it in a hurry.... I helped start up the Power House at Millington, at Childersburg #1 Power House and also #2 Power House. At #2 Power House we were making super heated steam for the turbines and then we had the reducing stations to cut it back to 300# - 150# - 50# saturated steam - This all went back through the whole Powder Plant to make gun powder as well as T.N.T. and Tetryl - you should see how all these things come out.... I had to explain to a Powder Line Foreman that he should call before he simply cuts everything off. Something like that really makes it rough and you really have to run not to lose everything. Now at Childersburg, they built what then was Plant III - me and my boss had the only Pass from the Power Dept. that could get in.... They used millions of gallons of water per day and as to how much saturated steam, I do not know - they would simply call that they were not getting the water so we would go to the Pump House and put another pump out the line - They were making the Heavy Water which was in the first Atomic Bomb that was dropped - Childersburg produced the Heavy Water and from there I guess it went to Oak Ridge, Tenn. The plant shut down in December 1945 and Lewis found work for a few months selling farm implements for McNess Sales Co. before getting hired as a Shift Foreman for the Universal Atlas Cement Division of U.S. Steel Corporation plant in Leeds, AL. He supervised the kilns, raw mills, finish mills, raw storage, and clinker storage and 14 men in the production of seven types of cement. He retired as the General Operating Foreman. In Leeds, in 1946, the Griffin family lived at 3000 4th Avenue South, then the family moved in 1951 into a house on 3323 Norman Drive. Finally, they moved in 1961 into a house which Lewis Griffin had built on 3 acres of land near the Ashville & Montevallo Road into Leeds. Mrs. J. A. (Bonnie Griffin) Turnage wrote of a visit to Leeds in a 19 Jul 1981 letter to her father: We [the Turnage family] rode around in Leeds briefly - You can't see the house on Montevallo Rd. for all the pine trees - they are really pretty. The house on Norman Drive looks good - they have it a light green - I didn't have time to see about getting any rose cuttings - The backyard sure looked good tho. Leeds looks about the same except for a few new buildings - It felt good being there - I feels like home even tho I don't have any kinfolks there. Lewis W. Griffin died in his sleep 6 Oct 1981 of "Arteriosclerotic Heart Disease" according to the certificate of death. 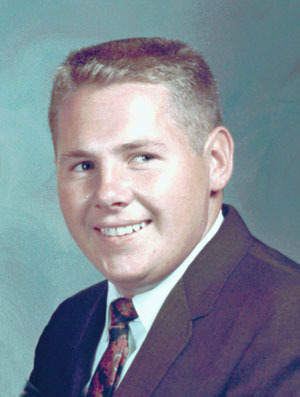 The following obituary is from an unknown source: LEWIS W. GRIFFIN, 66, of 883 Hawthorne, retired executive with the Universal Atlas Cement Co. in Leeds, Ala., [died] yesterday at home. He was a member of Leeds Presbyterian Church and a veteran of the Navy. He leaves a daughter, Mrs. Bonnie Turnage of McComb, Miss; two sons, Lewis W. Griffin Jr. of Palo Alto, Calif., and John Griffin of Birmingham, Ala; five sisters, Ruth Griffin of Memphis, Mrs. Louise Vaughn of Sun City, Ariz., Mrs. Clarice Duscoe of Union City, Tenn., Mrs. Frances Brown of Chattanooga and Mrs. Marie Middlecoff of Somerville, Tenn; a brother, James Griffin of Memphis; and four grandchildren. Services at 10:45 a.m. tomorrow at Memphis Funeral Home on Union; burial in Memorial Park.